Along with the Halloween decorations, we finally retired our boatshoes for the season yesterday. As always, it was a tough decision, but one that had to be made. There’s just no reason to be wearing boatshoes in November unless you’re on an island somewhere. This year, the pain of the event was eased a bit thanks to a new pair of shoes we stumbled upon during a recent visit to J. Crew. 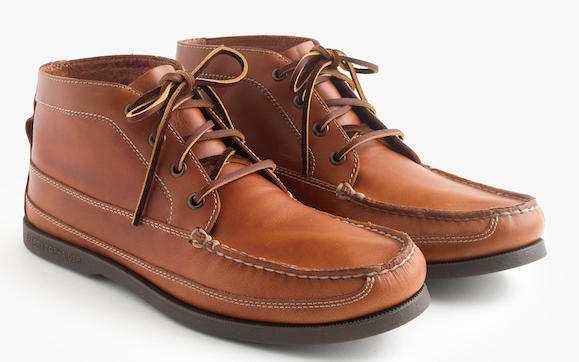 They’ve teamed up with Sperry for a pair of Chukkas that we absolutely love. Available in a handsome burnished mahogany leather that’ll look great with everything from denim, to chinos, to cords, we have a feeling these chukkas are going to see some serious wear over the next few months. Featuring the same hand-sewn moccasin construction we’ve come to expect from Sperry, and a classic look that is exactly what you’d expect from a pair of shoes in the J. Crew catalog, these boots will have no trouble fitting into any wardrobe. 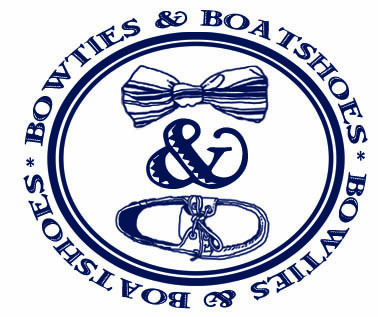 Truth be told, we have a feeling they’re going to be just like a great pair of boat shoes; even better with age.